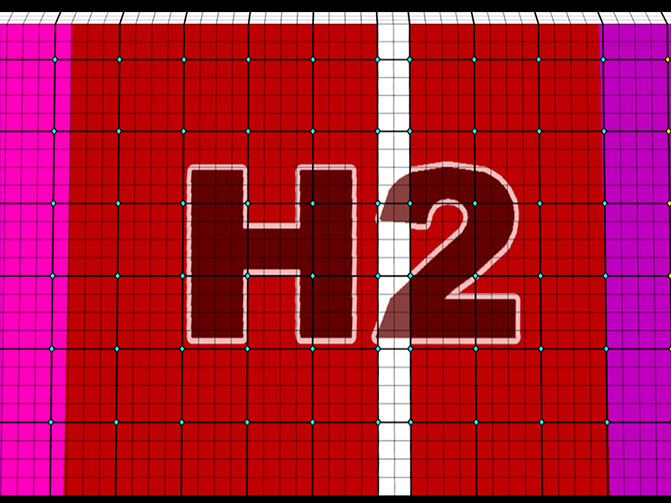 6 x 20k for the water screen. 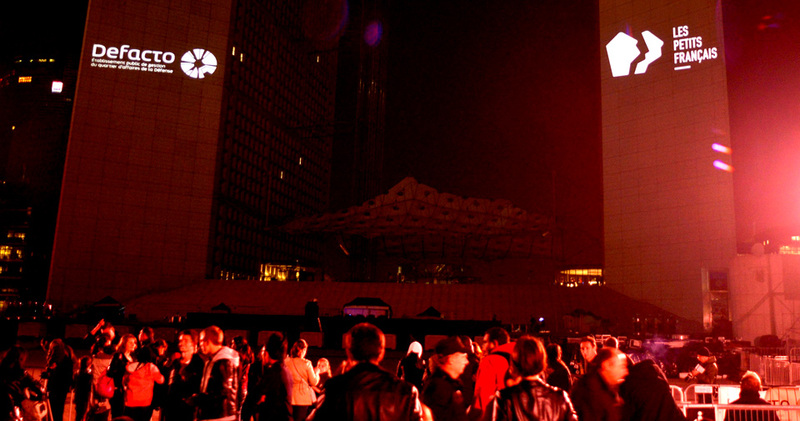 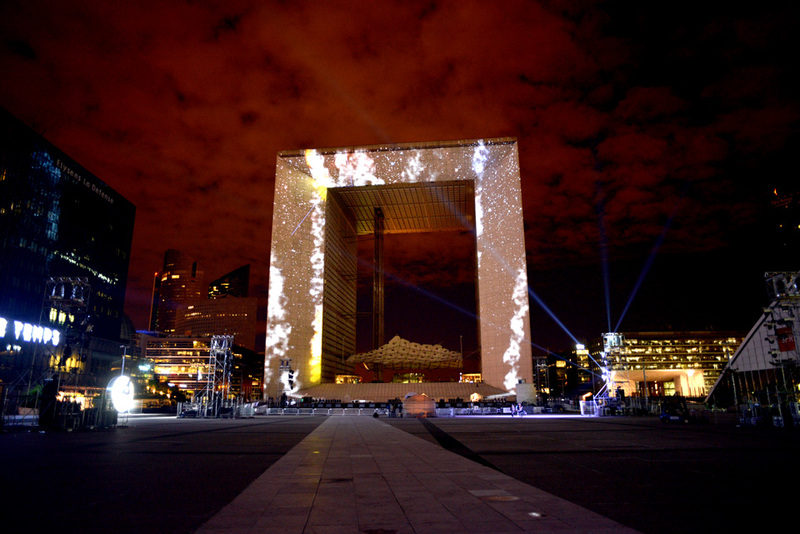 Defacto, public management establishment of La Défense, presents the show "Espace". 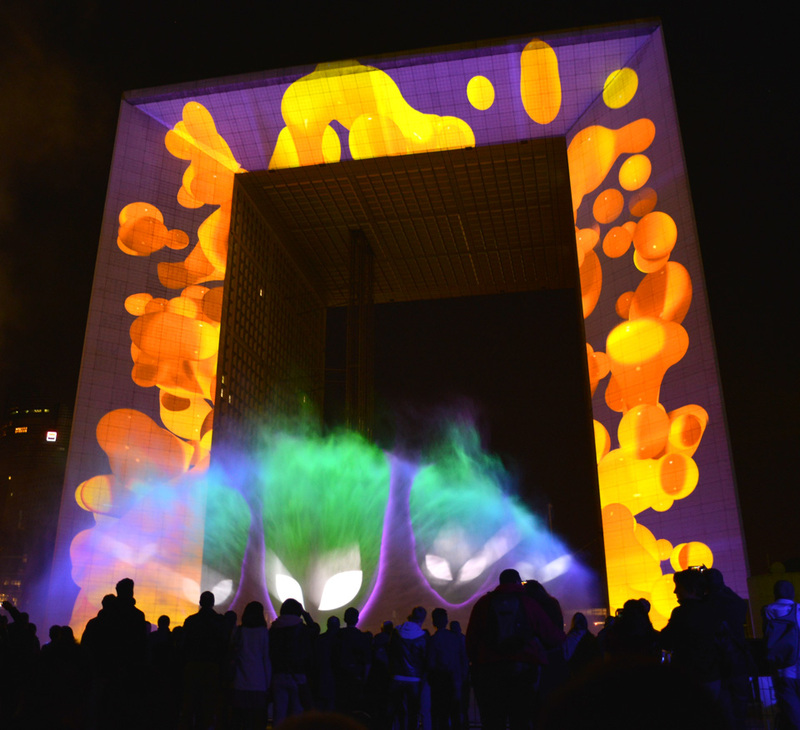 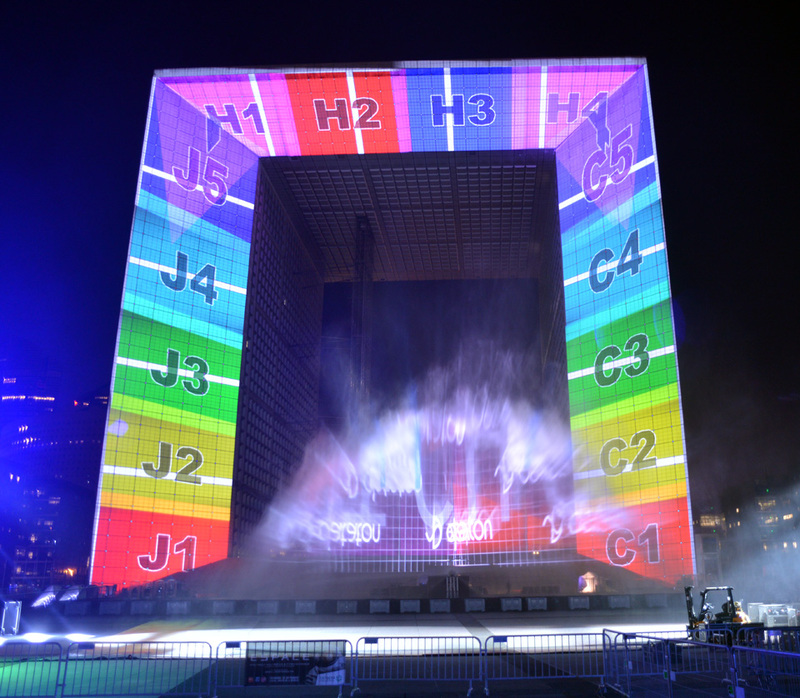 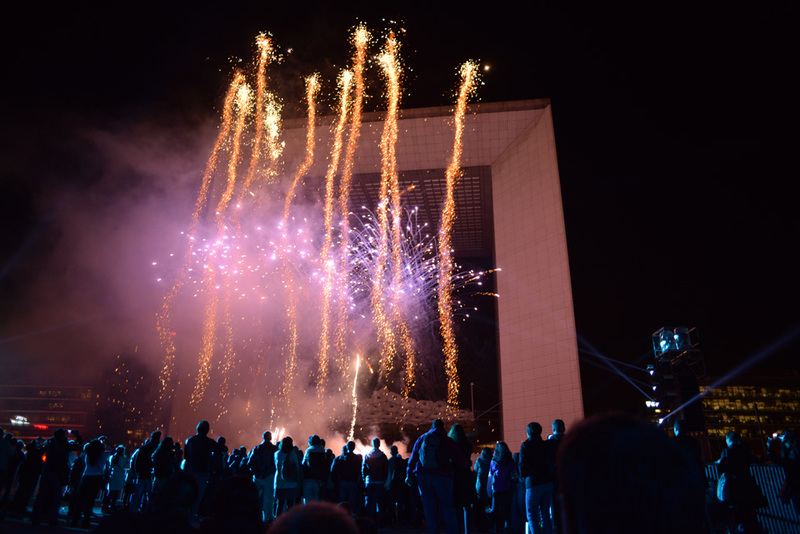 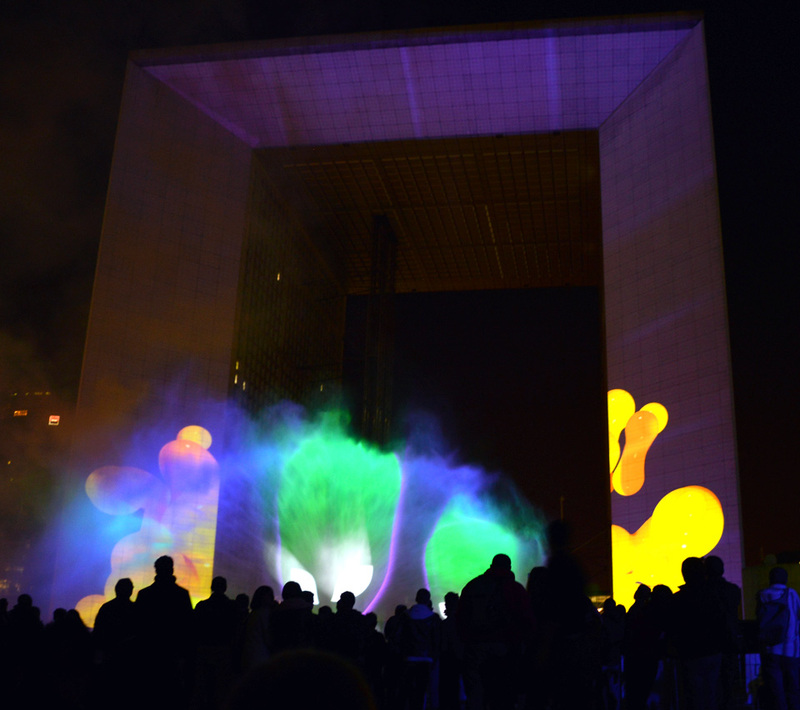 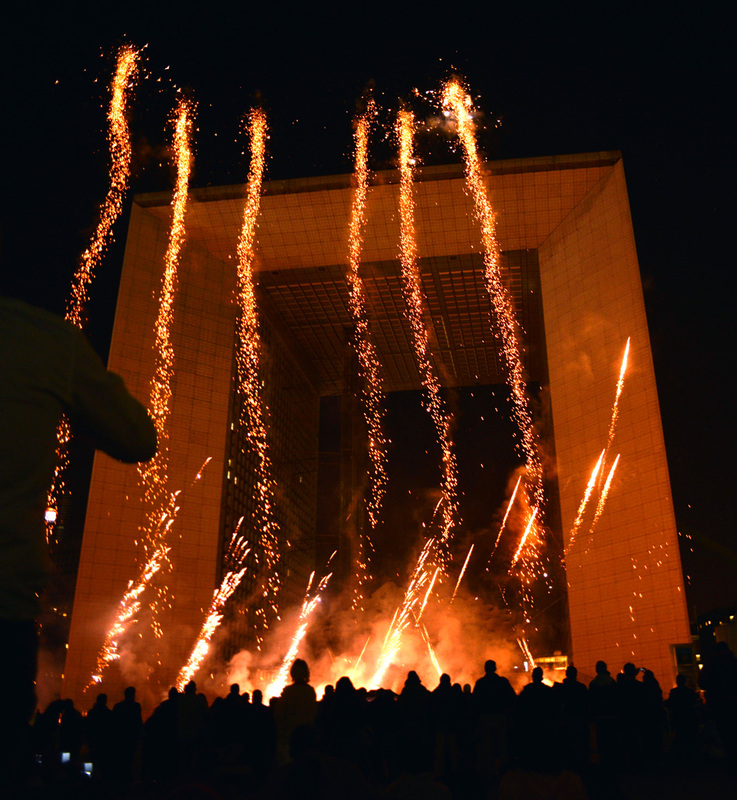 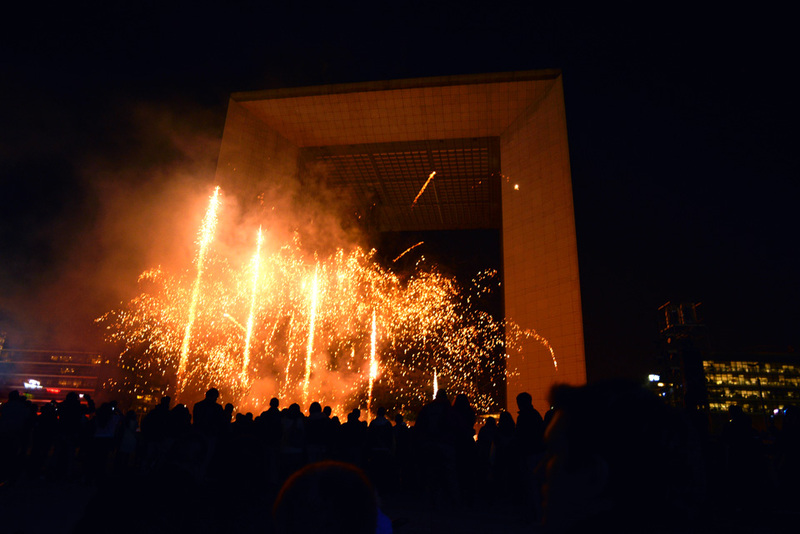 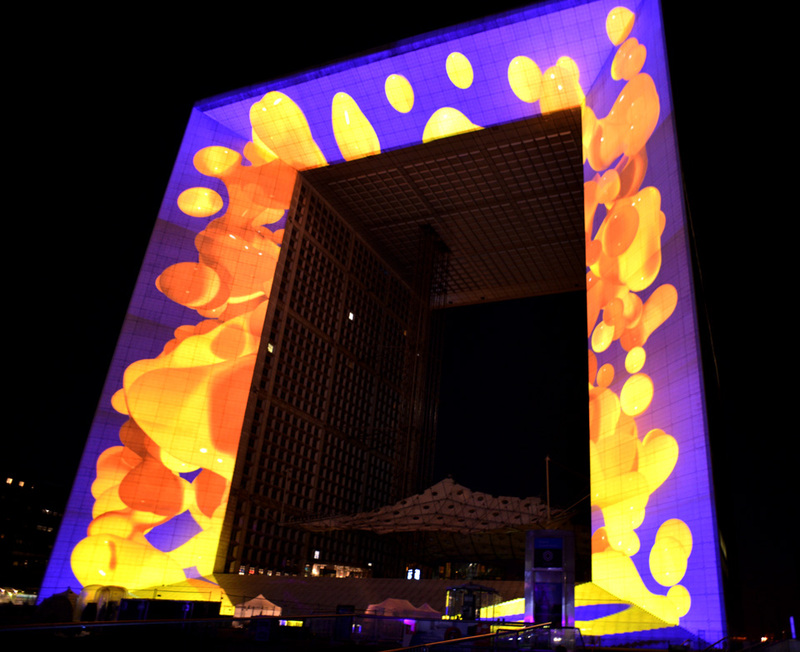 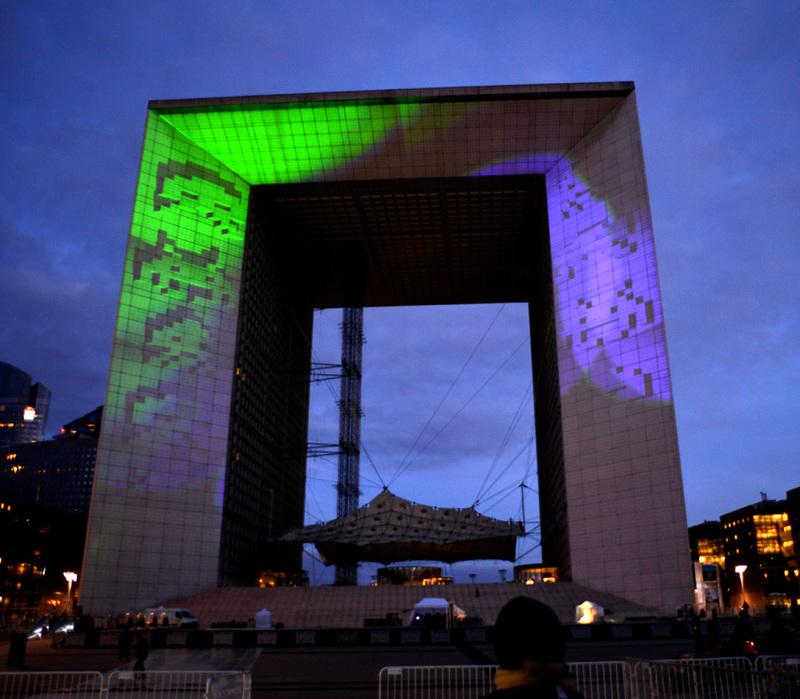 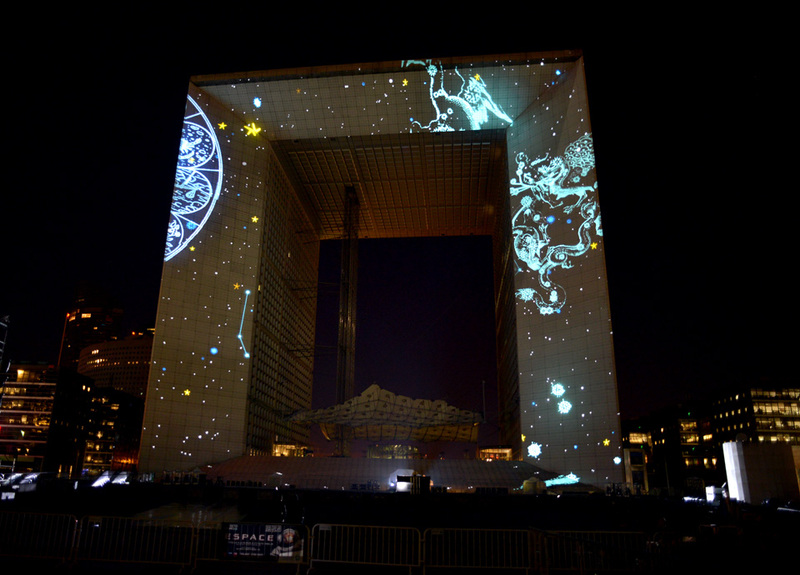 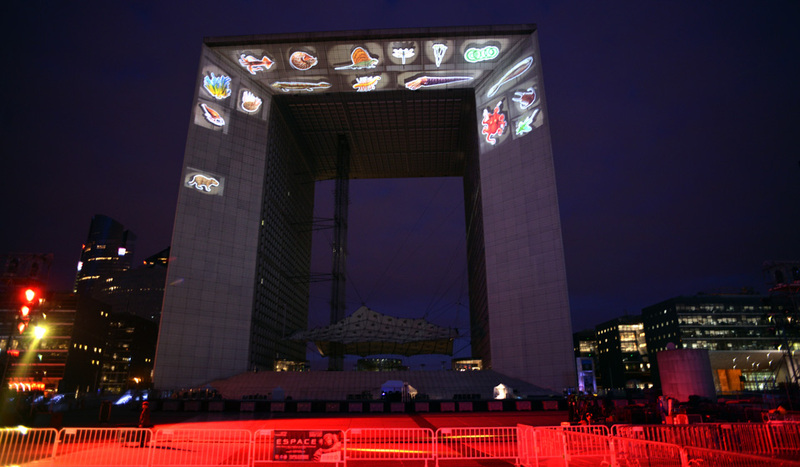 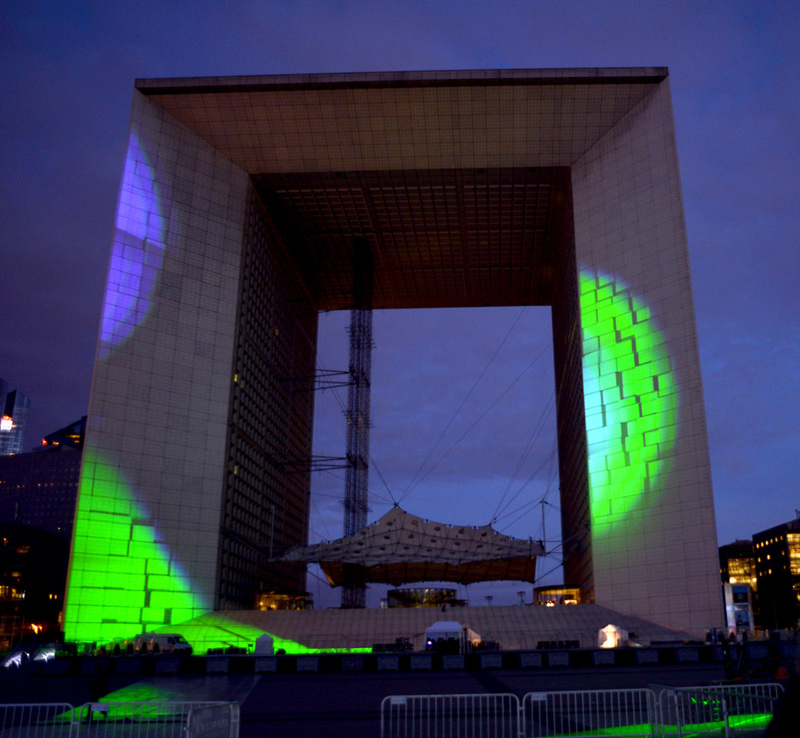 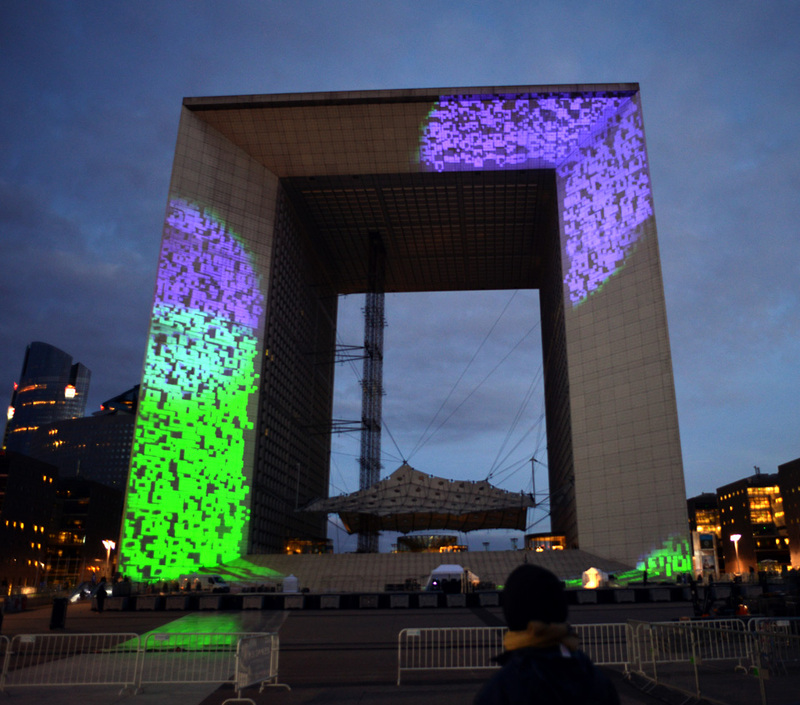 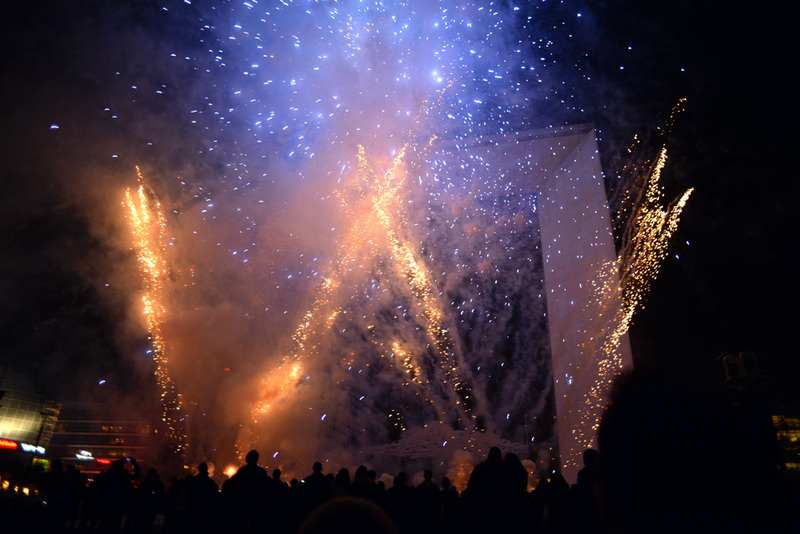 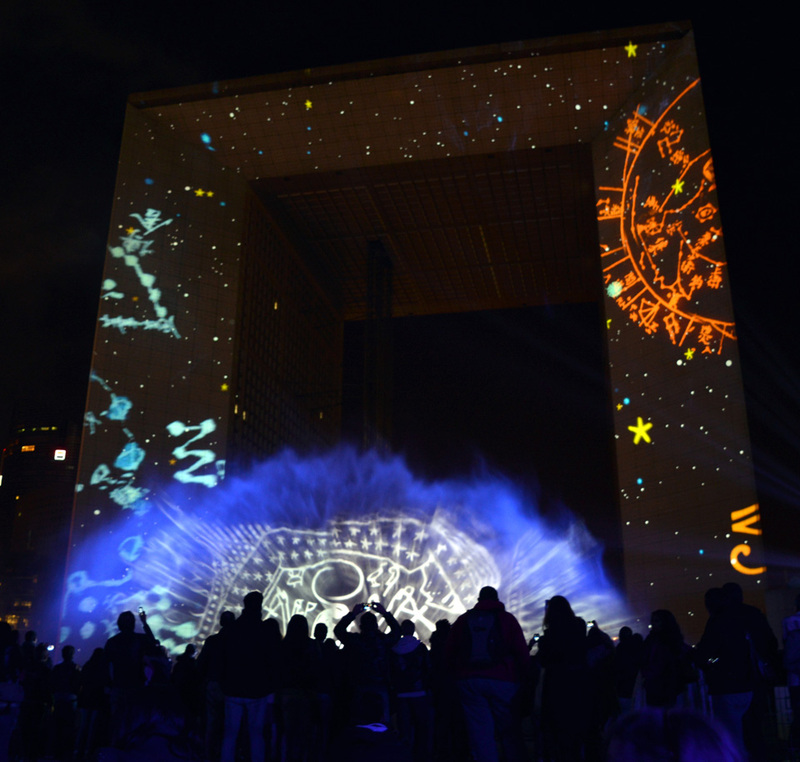 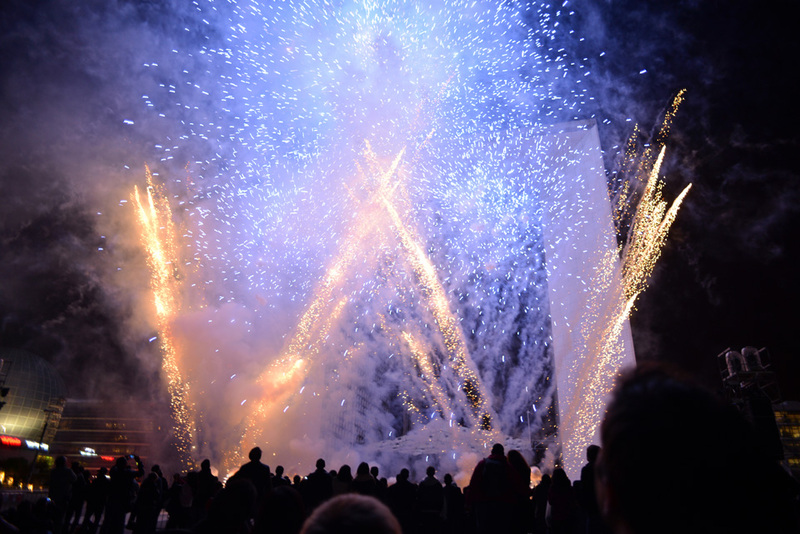 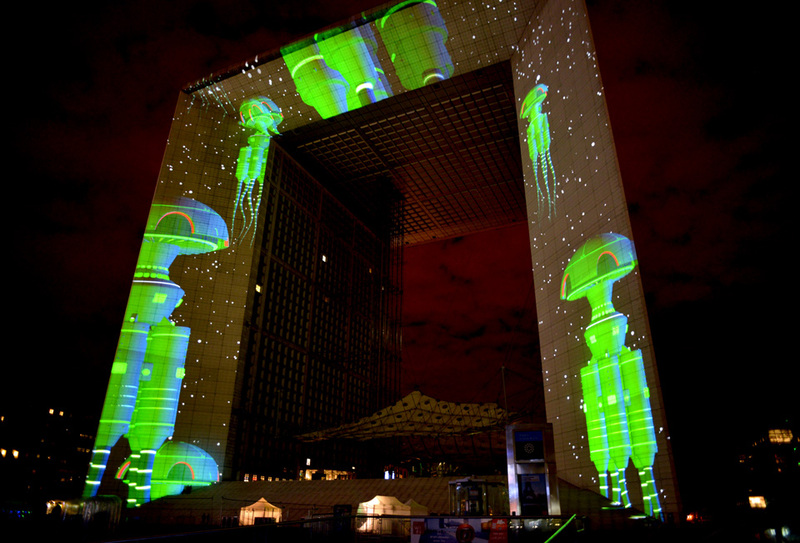 The Grand Arche was transformed on September 20, 2013 thanks to this great multimedia video mapping, sounds, water screen and pyrotechnic show. 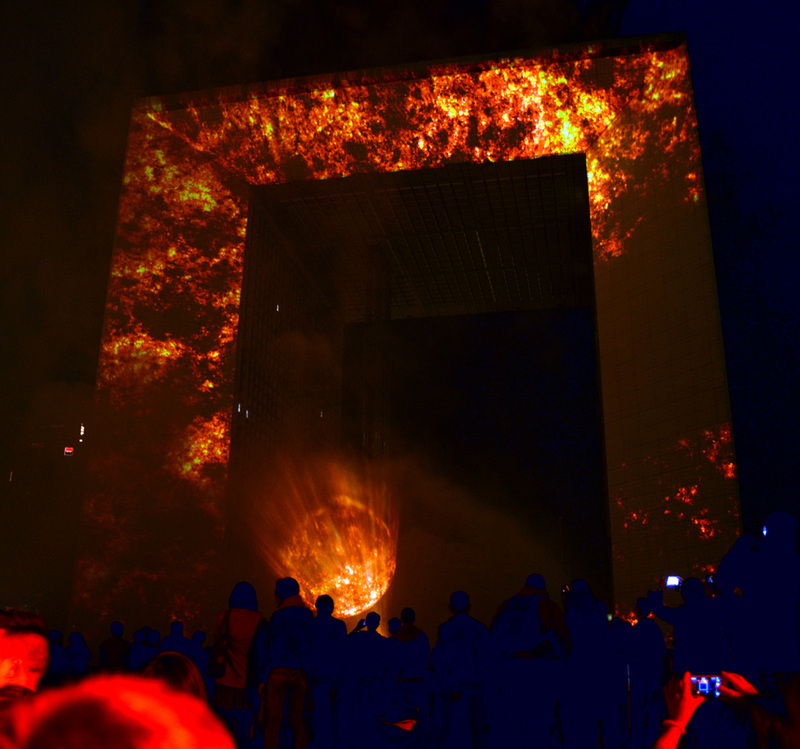 Produced by Les Petits Français with Christophe Galfard (scientific adviser and author of the texts), Benoît Allemane and Delphine Liez (voice), Pascal Lengagne and Philippe Villar (original music), François Simerey, Christophe Bertiaux / monoeil2b, Base 80, Ugo Cassanello and Fabrice Thumerel (original video mapping images), Grand Final (pyrotechnics), PRG (technical), Crystal Group (water screen). 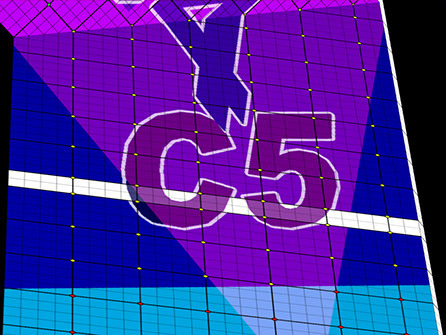 Christophe Bertiaux having already set up the 34 video projectors in the virtual 3D model, I only have to make the projection toolkit to help the installation on site. 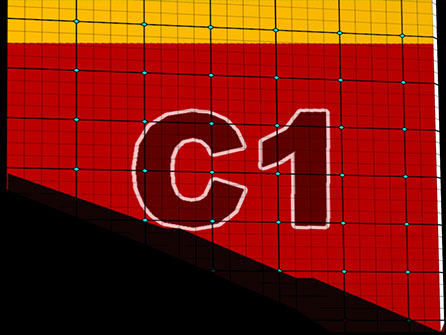 Below a photo taken during the installation and calibration of all video projectors followed by some 3d images that are parts of the toolkit. 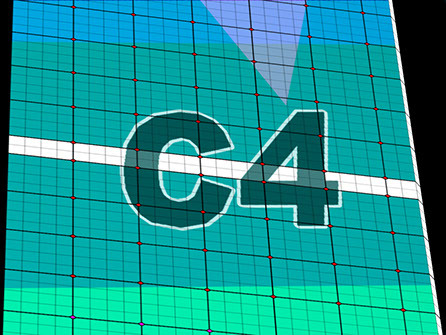 We are here surrounded by video projector's points of views at a ratio of 4/3. 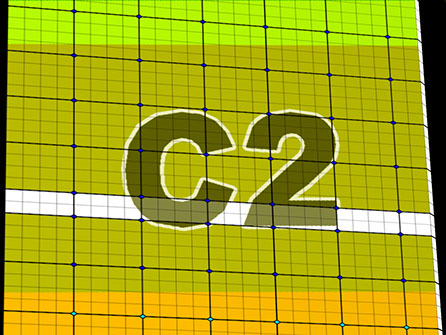 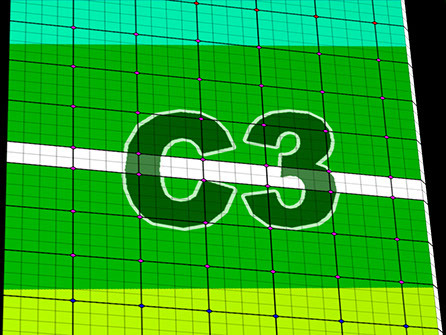 We can see the trapezoid effect that increase with the physical inclination of the projectors in the sequence from C1 to C5! 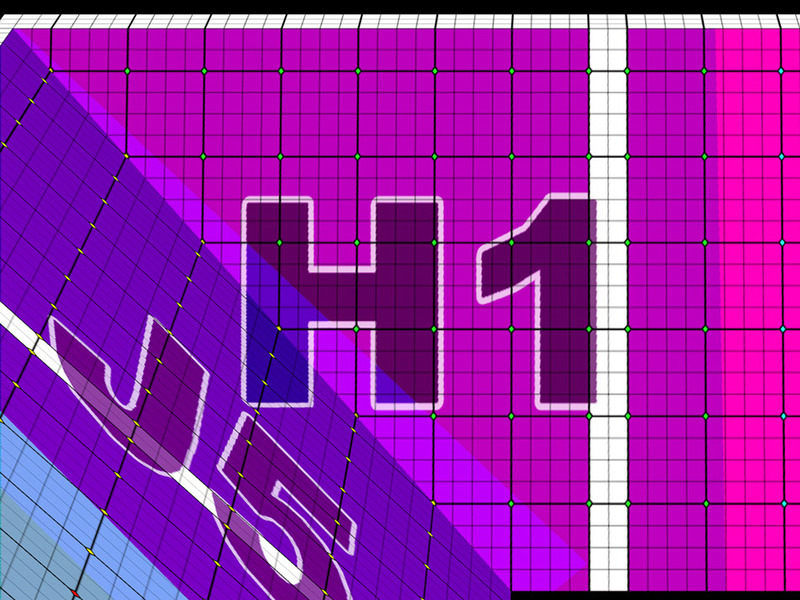 This results in the non-use of a growing part of the matrix and the stretching of the image on more surface ... two major causes of power loss ! 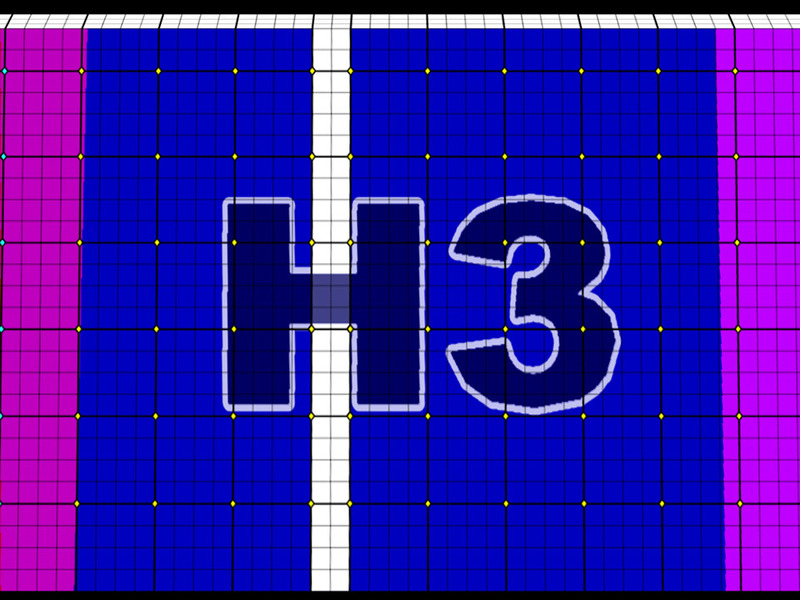 The pixel became more and more higher than larger. 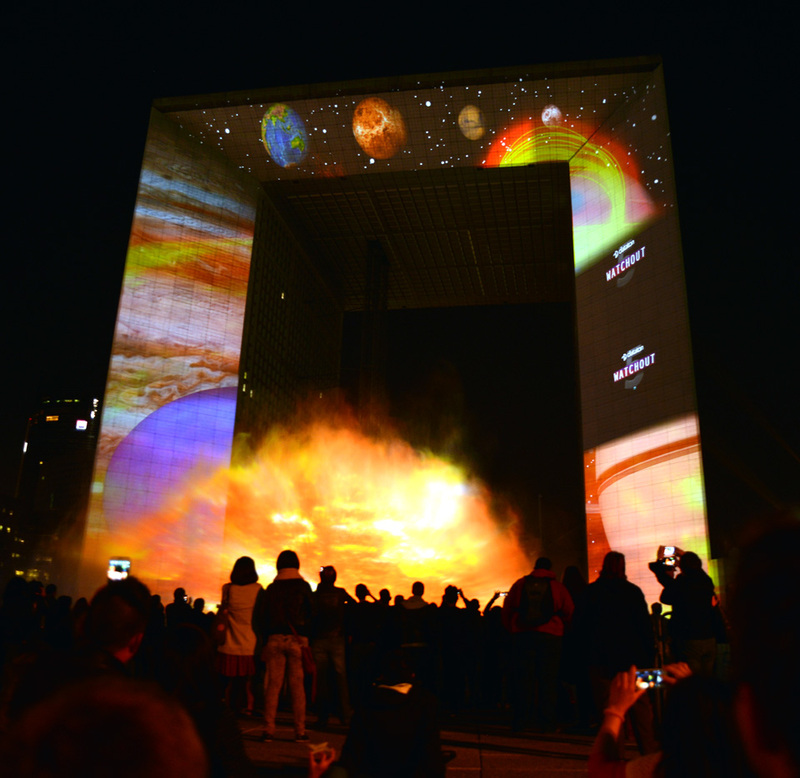 But we have to consider that the video projection and the audience are both at the ground level. 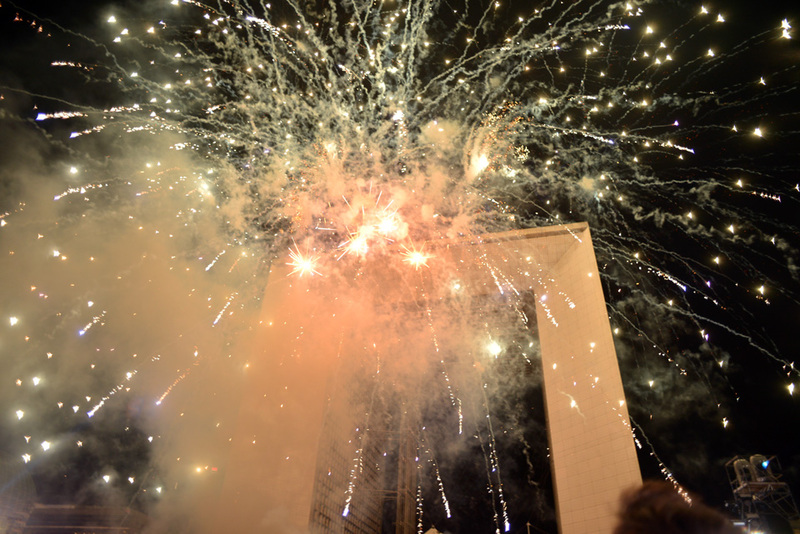 As you can see in the photos that will follow, no issue in this case. 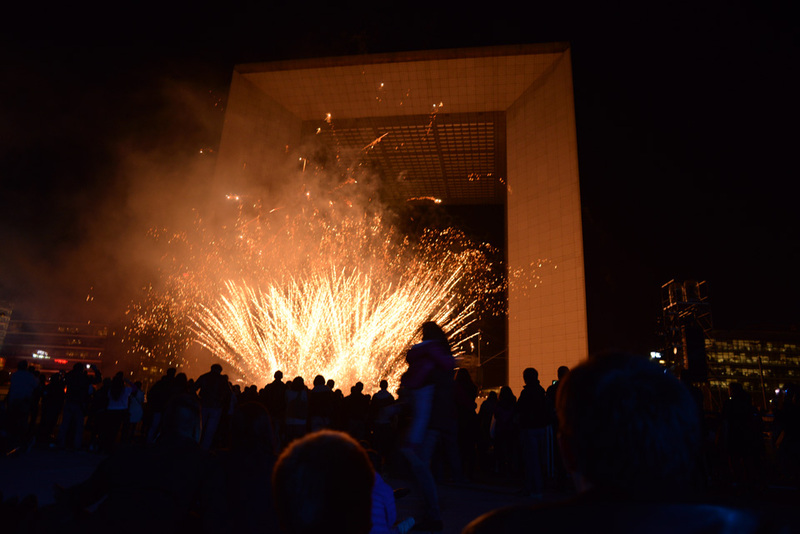 Below you have some photos taken on Septembre 20, 2013. 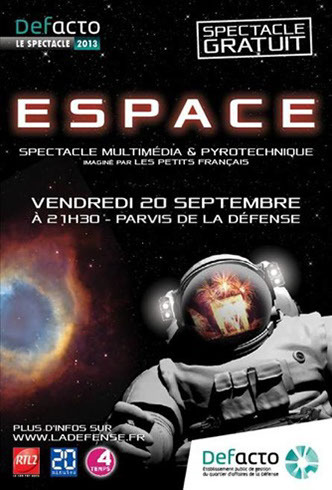 The show stated at 21h30.